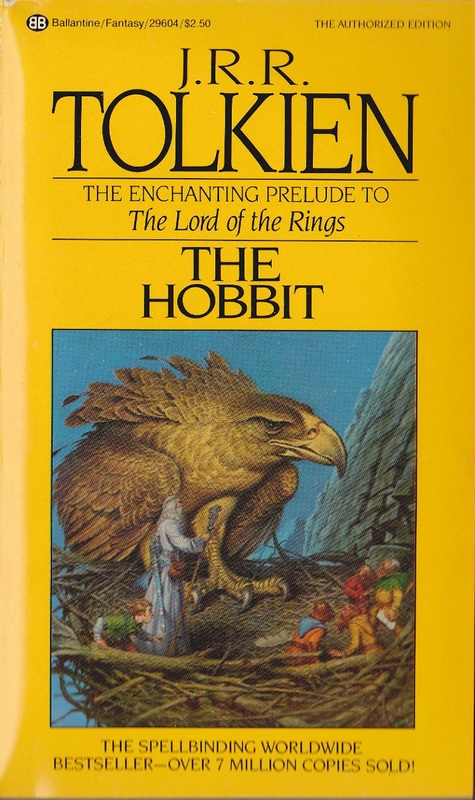 Ballantine’s Silver Jubilee Edition of The Hobbit and The Lord of the Rings was the first paperback edition to appear after the 1978 animated feature, and the first edition I read. 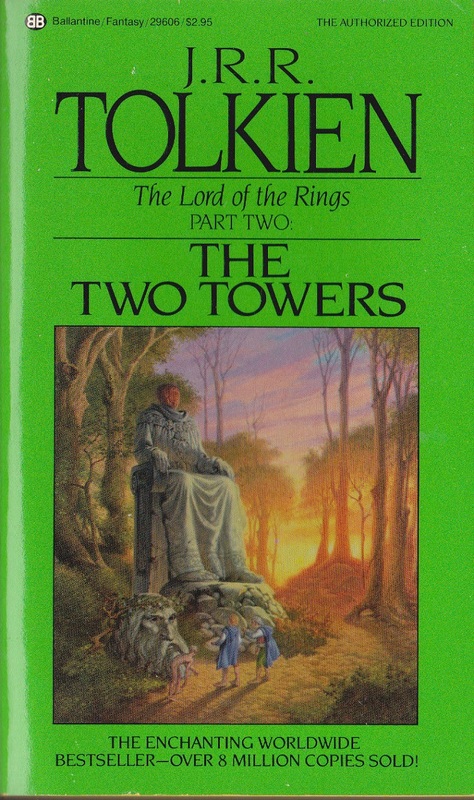 I have very strong memories of reading Fellowship every morning as my dad drove me to school, and, later, ignoring my mom’s calls to dinner as I sat in my room, transfixed by Boromir’s death in The Two Towers. Sweet’s art was taken from the 1982 LOTR calendar. You can see all the images in high resolution at The One Ring. The Fall of Numenor was used for the cover of Ballantine’s 1982 edition of The Silmarillion. 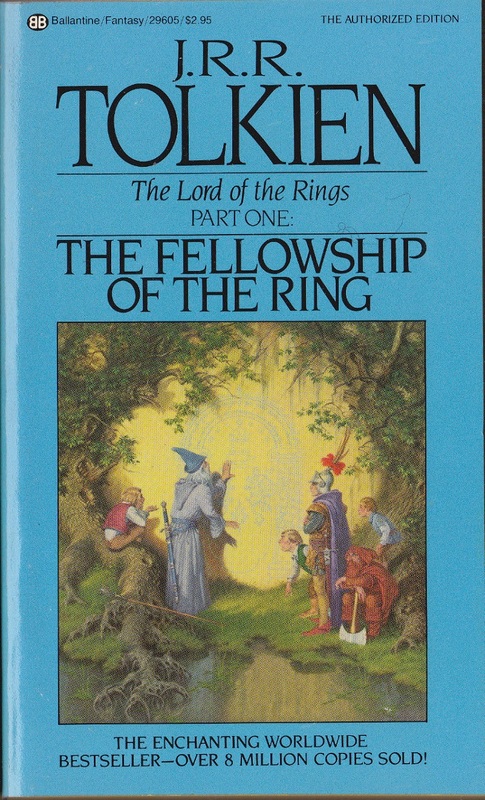 These are still the definitive covers for me, and I think his Fellowship painting is particularly brilliant. Sweet painted all the covers but one for Robert Jordan’s inexcusably long Wheel of Time series. He passed away in 2011 before he could finish the final piece. Irene Gallo gave him a fine eulogy, featuring some of his outstanding work, at Tor. Wow. 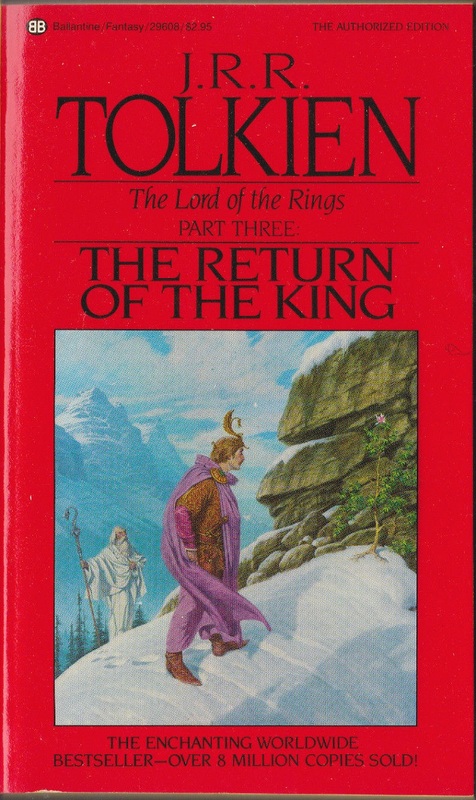 Totally brings me back to 5th Grade, at a time when a handful of my friends (whom all tried to get me into D&D) would constantly be fetching or placing their worn, well-read Tolkien paperbacks from or into their Jansport backpacks at recess or after school on the bus. Sometimes they’d be so immersed in the book that it’d take a few attempts to “snap them out of it.” I’d swear that for some, these books were closer companions than any living being. I like the art for older Lord of the Rings books. These in particular. In the mid-90’s, FPG reused some of Darrel K. Sweet’s classic artwork for their Companion Collector’s cards for the Everway game. None of these however. They released alot of fantasy art card sets back then. Much of it reproduced from book and game covers from the 70’s and 80’s. Unfortunately, it was mainly of the Keith Parkinson, Larry Elmore variety, which I’m not that into. Does anyone know where I can find copies of these versions? eBay, if you’re patient. You can also try Abe Books. I bought this set back in the ’80’s. Sadly, I sold them at a garage sale in the ’90’s. I got one on eBay last year for 15. Amazing shape.